Impact crusher is used for the fine crushing of hard rock and stone. Luoyang Dahua has variety of types, PFQ impact crusher, ISP strong fine impact crusher, BP impact crusher, PFY hard rock impact crusher, and PLS vertical impact crusher. 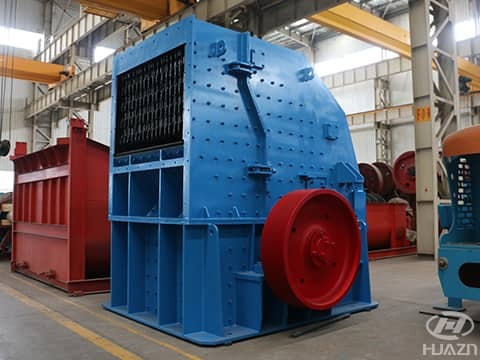 In this text, we will compare the different between PFY hard rock impact crusher and PFQ strong impact crusher. PFY series hard rock impact crusher is designed for crushing rocks and stones with compressive strength higher than 300MPa and Mohs hardness over Grade 6. It features with powerful rotational inertia, long service life of hammerhead and wearing liner, high production rate and finished product with rhombus shape. All types of machine equipped with hydraulic opening and impact frame concession device. For bigger size machine, there is optional hammerhead lifting device to choose. PFQ series vortex strong impact crusher is high efficient impact crusher developed by our company. This machine is applied to primary and secondary crushing of a variety of materials with max. 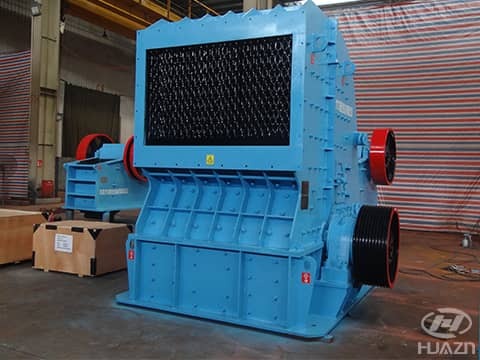 feed size 500mm and compression strength not more than 250Mpa.It has the features of unique structure, easy operation, high-efficiency and energy saving, good product shape, adjustable discharge size, simplifying crushing process, saving cost etc. It can be widely used in electricity, water, highway artificial aggregate crushing industry and so on. Structural design has a unique vortex crushing chamber and P, S, T three crushing areas. The rotor assembly adopts sleeve keyless connection, high-performance wear-resistant plate hammer, inserting the installation form, inclining the bearing block, the unique toothed impact liner, multi-directional door of frame, and the screw rod or hydraulic device to make the replacement of wearing parts and maintenance more convenient.